This is going to be a big year for Finnish composer Jean Sibelius; born in 1865, 2015 is the 150th anniversary of his birth. Orchestras everywhere will be playing his music and there will surely be a plethora of new recordings. 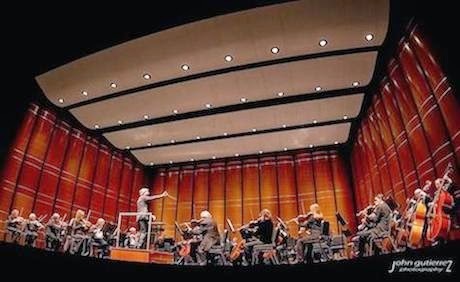 Conductor Peter Bay and the Austin Symphony Orchestra are already off and running with a recent concert featuring two of Sibelius’ major works, Symphony No. 1 in E minor, and the Violin Concerto in D minor, with the brilliant young American violinist Karen Gomyo as soloist. Peter Bay could easily have made this an all-Sibelius concert by opening with Finlandia, the Karelia Suite or Valse Triste and the audience would have been delighted. Instead, he chose to play two short works by Sibelius’ contemporaries. Bay also had the interesting idea of playing them without pause; in other words, the end of the Fanfare for La Péri led straight into the Glazunov march. Musically, this was effective not only because the fanfare is scored for brass only and the Glazunov begins with brass, but also because the Dukas is only three minutes long and is apt to sound inconsequential on its own. The Glazunov, a lovely, understated piece, is rarely heard. Bay and the Austin Symphony gave it a fine performance. Karen Gomyo plays the “Aurora, ex-Foulis” Stradivarius (1703) and the sound produced by this soloist and her instrument was stunning, especially on the G-string - a big sound analogous to fine wine: robust, with hints of peach and almond. Gomyo took some time to establish her authority in the first movement of the concerto. Like its great predecessor, the Tchaikovsky Violin Concerto, the Sibelius Violin Concerto is written that way; it takes its time to really get going. During the course of the performance, it became clear that Gomyo knew what she was doing and had the sound, technique and depth of expression to give this concerto a very fine performance. Peter Bay and the Austin Symphony provided ideal accompaniment; however softly Gomyo chose to play, Bay and the orchestra could play softer and in the big tutti passages there was ample fire and energy. Gomyo’s bio in the programme book revealed that she was “deeply interested in the “Nuevo Tango” of Astor Piazzolla”, so it was not surprising that she played some unaccompanied Piazzolla as an encore. A delightful piece, the audience loved it. Sibelius composed his First Symphony in 1899. Having already written the massive Kullervo Symphony for soloists, male chorus and orchestra, and the Four Legends - both works based on episodes from the Finnish epic poem the Kalevala – he was, by age 34, a very experienced composer. 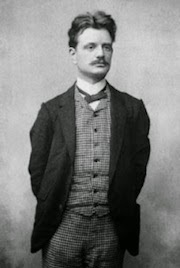 During his formative years, Sibelius travelled to Europe to further his studies. He spent some time with Busoni in Leipzig in 1890. The following year he spent even more time in Vienna. He had a letter of introduction to Brahms but the Great Man, well-known for his crankiness, refused to see him. Sibelius studied instead with Robert Fuchs and Karl Goldmark. By 1897 Sibelius was well established as a promising composer in his native Finland; in fact, he was so highly regarded that he was awarded an annual pension by the Finnish government. Sibelius received this income for the rest of his life. Together with increasing royalties from performances of his music, Sibelius was able to devote himself solely to composition without having to worry about how he would pay for his next meal. One of the first fruits of this financial independence was the Symphony No. 1. Unlike the Kullervo Symphony, the work is pure music. It tells no story nor does it attempt to depict any events. It is all about the presentation and transformation of musical ideas. This is an important point when discussing the music of young composers. One must try to imagine how hard it was for Sibelius to do away with the crutch of program notes that would explain what the music was all about and give it a structure. Most of his early works had been in this programmatic style; now he was attempting to write a major piece in which the music speaks for itself. The Symphony No. 1 not only speaks for itself; it speaks in an original voice. There are occasional distant echoes of Borodin and Tchaikovsky, but for the most part listeners in 1899 were hearing something new. Its opening bars, with a darkly beautiful clarinet solo over a soft timpani roll, are unprecedented in the history of music. Throughout the piece one hears melodies, textures and rhythms that are highly original. All the elements of Sibelius’ mature style as a symphonist are to be found in this symphony. Each of his later symphonies has a different and often more concentrated structure, but “the voice” is instantly recognizable as being that of Sibelius. 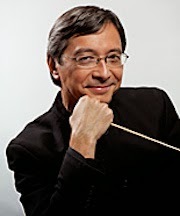 Peter Bay gave us a well-prepared and heartfelt interpretation of the Symphony No. 1. There are no metronome markings in the symphony, so the conductor has to work out the tempi for himself Bay’s tempi for each of the four movements seemed just right. Balances were excellent with brass and percussion given their head in all the right places. Well, nearly all the right places. It seemed to me that the final climax was a little underpowered. My guess is that Bay was holding back the brass and timpani so as not to cover the strings. To my mind, however, the power of this last climax is more important than the secondary parts being played by the strings. On the whole, this was a worthy tribute to Sibelius. Perhaps there will be more to come from Bay and the Austin Symphony later in the season.